New England Patriots owner Robert Kraft celebrates in Massachusetts after the team's 13-3 victory in Super Bowl LIII. 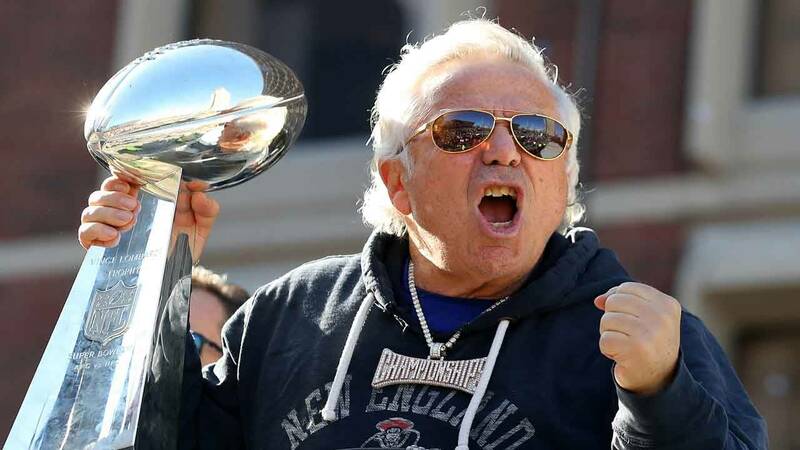 WEST PALM BEACH, Fla. - Prosecutors in South Florida have offered to drop the charges against New England Patriots owner Robert Kraft as part of a deferred prosecution agreement. In return, the charges of soliciting prostitution would be dropped. Edmondson said none have accepted so far. Palm Beach County State Attorney Dave Aronberg said Tuesday on Twitter that the offer to first-time offenders "is standard in cases like this." Jupiter Police Chief Daniel Kerr told reporters last week that Kraft was among those caught on video soliciting prostitution at the Orchids of Asia Day Spa. Kerr said the six-time Super Bowl champion made two visits to the Jupiter business last month. Kraft has been issued a summons to appear in court March 27 for his arraignment.